Note: The following review is SPOILER FREE! As a reviewer, I am torn on how best to describe my feelings on Batman v Superman: Dawn of Justice (henceforth known as BvS). BvS feels like several movies in one, simultaneously trying to be a sequel to Man of Steel, a Batman origin story, a Batman/Superman fight movie, a Justice League set-up movie and finally a Wonder Woman introduction. None of these stories ever reach their full potential, but at the same time nothing is insultingly mishandled. Despite all of its flaws, I walked out of BvS happy that I had seen it and excited for where the franchise could go. The plot of BvS initially seems straightforward. Following the cataclysmic events of Man of Steel, the world has been introduced to the god-like Superman and now struggles to come to terms with what that means. Enter Ben Affleck’s Batman/Bruce Wayne, who decides that Superman needs to be taken down for the greater good of society, given he could easily destroy every person on the planet if he so chose. Affleck gives a stunning performance as the Caped Crusader in BvS, exceeding expectations and arguably becoming the best live-action interpretation of the character yet. Affleck’s Batman is downright brutal, stealing the show in every scene he is in and making the audience understand why the criminals of Gotham are scared to go out at night in a way no other Batman ever has. It makes it all the more frustrating that this dramatic take on the Dark Knight is given so little time to shine. BvS is under the misguided belief that every character constantly needs to have something to do, even when their usefulness in the story has long since finished. The best example of this is Lois Lane, who gets progressively less useful as the movie drags on, to the point where she actually creates problems for our heroes rather than help solve them. Without spoiling the context, Superman saves her life no less than three times in the movie, and it is almost always due to a problem she created. I was never a huge fan of Man of Steel, but I can at least give it credit for not making Lois detrimental to the plot, having her feel relevant throughout the movie without forcing conflict where it could have easily been avoided. Another character that feels utterly wasted here is Wonder Woman, who has several standout scenes that never feel relevant to the main plot. Gal Gadot does her best with the little material she is given and is a highlight of the film, but she feels completely unnecessary at every turn. 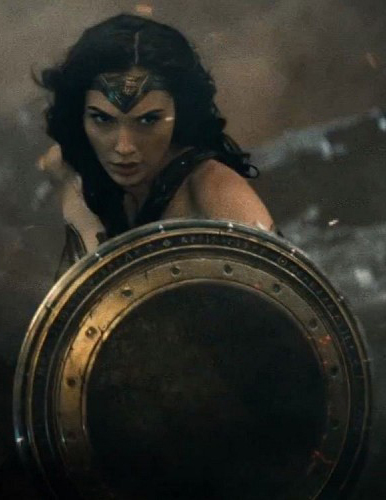 Her introduction could have easily been saved for next year’s Wonder Woman, and I highly doubt any fans would complain. The same can be said with the introductions of the other members of the Justice League. Flash, Cyborg and Aquaman are each given a tiny cameo, but these also feel completely unnecessary, distracting the viewer from the action. The biggest issues with Batman v Superman: Dawn of Justice can be guessed simply by looking at its title. It is trying so hard to set up all of the chess pieces necessary for Justice League Part 1 that it forgets to be a good movie in its own right. That being said, it is still enjoyable, and I left the theater excited for where the franchise could go, provided they spent more time on character development in the future. Batman v Superman: Dawn of Justice is undeniably flawed, and spends far too much time setting up sequels instead of telling a coherent and engaging story. It is also a highly entertaining movie that raises many philosophical questions that other superhero movies haven’t dared to ask, and is well acted to boot. However, Warner Bros. needs to start pleasing the fan base if it ever wants to get their DCEU off the ground, and this is not the movie to do that. Which is your favorite live-action Batman? Does ‘BvS’ get you excited for ‘Justice League’? Tweet me @adam_mcconnell. And be sure to follow us @YouNerded.